Pregnancy, childbirth and a new baby are very exciting times in your life. Times filled with joy, learning and planning. Let us help you rest at ease by sharing our knowledge and support with you and your growing family! Our hope is to make your road to parenthood, birth and breastfeeding as smooth as possible by sharing our passion, expertise and support. We look forward to meeting you! Expert breastfeeding support by phone, online and in the comfort of your home. Learn all you need to know about pregnancy, birth, and caring for your baby. 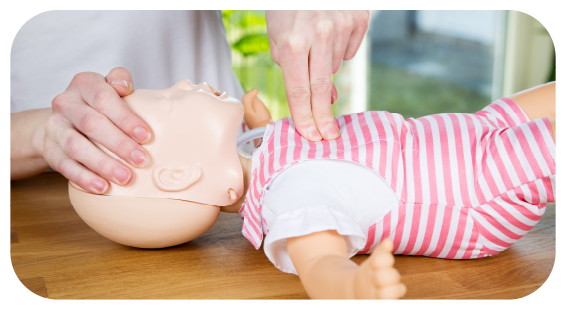 Protect your family by learning lifesaving skills by taking our baby/child CPR workshop. For more information and/or to book a consultation please call, email, or complete this form. Thank you; I will get back to you within 24 hours. *These locations may involve an additional charge as they are outside of our travel area. Availability to these areas due to travel time may be decreased.